Former Tallahassee Democratic Mayor Andrew Gillum — who narrowly lost his bid for Florida governor to Republican Ron DeSantis in November — formally launched a voter registration group on Wednesday in Miami Gardens to help defeat President Trump’s re-election campaign in 2020. Why it matters: Florida is the nation’s largest swing state where razor-thin margins often play a critical role in presidential elections as well as statewide races. The voter registration network, Bring It Home Florida, is named after Gillum's signature campaign phrase and seeks to mobilize voters and help the Democratic nominee secure the state's 29 electoral college votes. Details: News of Gillum's plan to focus on grassroots organizing in Florida was first reported by Politico early Wednesday. 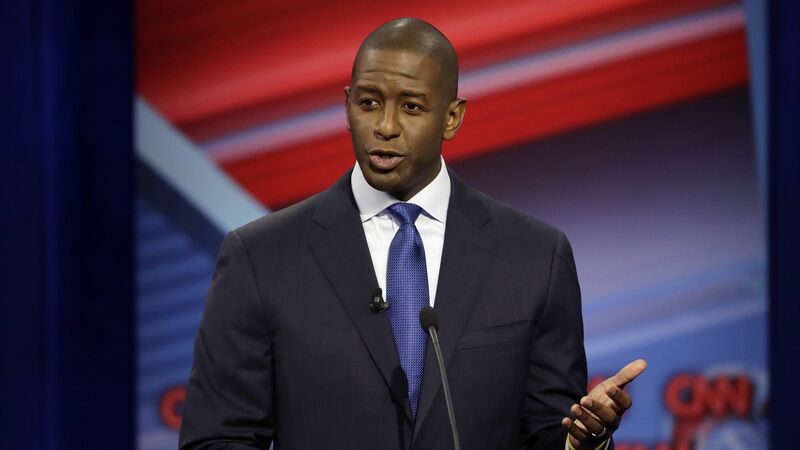 Gillum, who also ruled out a run for the White House on Wednesday, told the New York Times' Astead Herndon that the Democratic Party has been too complacent with voter outreach in the last 10 years. "When Obama was on the ballot in 2008, Democrats enjoyed a registration advantage of almost 800,000. When I showed up on the ballot, that advantage had shrunk to less than 300,000. And it makes a difference, if you have more marbles on the table and more voters you can choose from and have the opportunity to produce." He added: "Given the migration patterns in our state, and given the challenges we have around producing an electorate that's favorable to Democrats to get out and vote — we've got to put more people in the game."